Brother Charles Cummiskey, S.M., died Sept. 9, 2015, at the age of 91. He was a Marianist for 74 years and a faculty member of St. Mary’s for 56 years. A viewing will be held Tuesday, Sept. 15 at 6 p.m. in the Marianist Residence Chapel, with a rosary to follow at 7 p.m. On Wednesday, Sept. 16, there will be a viewing at 3 p.m., Mass of Christian burial at 4 p.m. at Our Lady of Guadalupe Chapel, then burial at Marianist cemetery on campus. After the burial, a meal will be served at the Marianist Residence. Brother Cummiskey was born Feb. 12, 1924, in St. Louis to Charles and Sarah Cummiskey and was one of two boys. Inspired by his Marianist teachers at McBride High School, he entered the Postulate in Kirkwood, Missouri, in 1939. He entered the Novitiate in 1940 in Galesville, Wisconsin, and made his first vows in 1941. He made his perpetual vows in 1945. He earned his bachelor’s degree in Education from the University of Dayton in 1943 and his master’s in Science at Northwestern University in Evanston, Illinois, in 1952. 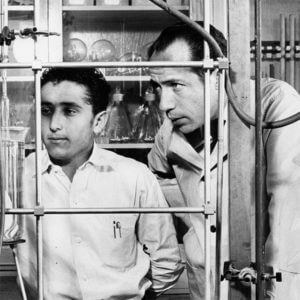 He went on to receive his Ph.D. in Chemistry from the University of Notre Dame in 1956. He pursued his passion for chemistry through teaching at various schools around the country. 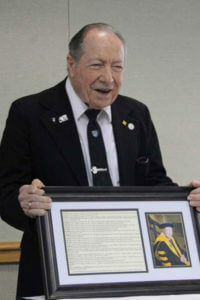 In 1955, he joined the St. Mary’s University faculty. During his years at St. Mary’s Brother Cummiskey held many important positions: Department Chair of Chemistry, Vice President for Academic Affairs, Dean of the Faculty as well as Interim President in 1975, all while continuing to teach. He was honored with the Minnie Stevens Piper Professor Award and has been a Robert A. Welch Foundation Grantee. He also served as a National Science Foundation Visiting Scientist to high schools for the American Chemical Society. He was a Chair for the San Antonio Section of the American Chemical Society, and he held membership in Sigma Xi, the scientific research society; the Albertus Magnus Guild, a national organization of Catholic scientists; and the Texas Academy of Science. In 2006, Brother Cummiskey retired from teaching, and in 2013, he was named Professor Emeritus of Chemistry. “We are blessed to have had such a remarkable man among us,” Eden said.